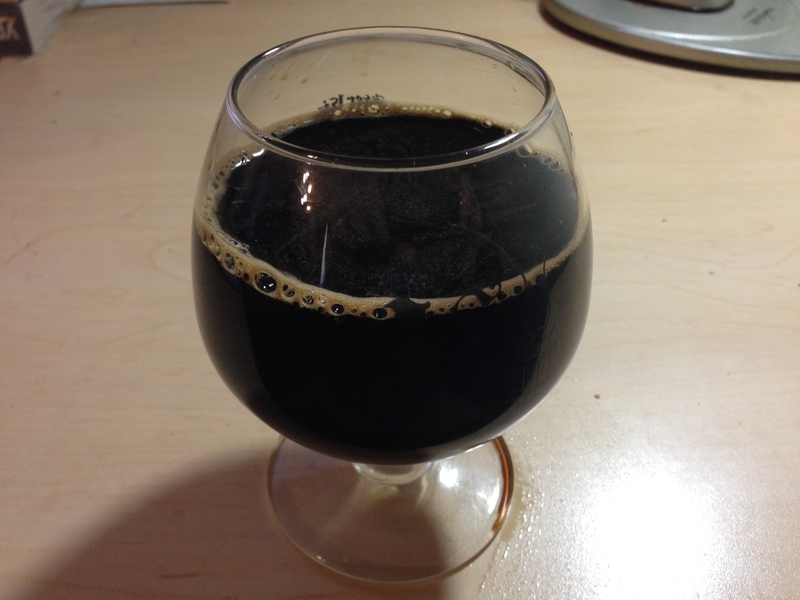 Russian imperial stouts run from full-bodied to very heavy and almost sickly sweet. If you’re formulating your beer to fit in the dry end of that range, you might try pairing your dark grain blend with dark crystal malt and English pale ale malt. If you use crystal malt in the 60–90 °L range, 0.5–1.0 lb. (230–450 g) should give you a noticeable caramel flavor in a 5-gallon (19 L) batch. In those amounts, it will still allow you to brew a relatively highly-attenuated beer. Once you’ve decided on your dark grain blend and the amount of crystal malt, just add English pale ale malt to the recipe until you hit your target original gravity (OG). The BJCP gives the span of target gravities as OG 1.075–1.115, with most commercial examples fitting in lower half of that range, and containing 8–10% alcohol by volume (ABV). This “standard” or “classic” combination of English pale ale malt and dark crystal malt works with almost any combination of dark grains. If you’re planning to brew a Russian imperial stout that is aggressively hoppy and shows a good deal of dark grain bitterness and astringency, this is a good option. You can “Americanize” this grist by using US 2-row pale malt instead of the English pale ale malt — and of course fermenting the resulting wort with a neutral ale strain and using American hops. On the less attenuated end of the range, a blend of crystal malts along with the English pale ale malt will work fine. Often a dark crystal malt (60–90 °L) will be blended with smaller amounts of an even darker crystal malt (90–150 °L). This will lend caramel flavor to the beer and also makes the wort less fermentable. You do not, however, want to overdo it on the crystal malt. Too much caramel flavor and too much unfermentable carbohydrates in your wort can yield a cloying, sweet beer that is too heavy to be enjoyable. Keeping the blend of crystal malts under 2.0 lbs. (910 g) total, per 5.0-gallon (19-L) batch, will add caramel flavor, but not so much that it upstages the dark grains. This combination of malts works well with any reasonable combination of dark grains. And of course, you can aim for anywhere in the center of these two ranges, if you’d like. For beers that are going to be bourbon barrel aged, I think that a moderate dose of caramel malt blends well with low to moderate amounts of bourbon flavor. If you’d like to make an extra malty Russian imperial stout, formulate a recipe as above and then substitute Munich malt for a portion of the English pale ale malt. You can also use a combination of Munich malt (8–10 °L) and a smaller amount of dark Munich malt (20 °L). Munich malt is a base malt so you could, hypothetically, replace the pale ale malt entirely with it. However, to retain some “English” character in the beer, I would only swap out less than 50% of the pale ale malt. The beer will already be malty simply given the size of the grain bill. For added emphasis, you can even add a small amount of aromatic malt or melanoidin malt. This malt, sometimes known as “super Munich” malt is used in many big, dark lagers to enhance the malt character. Adding less than 8.0 oz. (230 g) of this for a 5-gallon (19-L) batch would be recommended. A malty base works best with lighter-colored and less astringent combinations of dark grains, for example a dark grain blend dominated by a relatively light chocolate malt. Starting with a pale malt and crystal malt base, you can also make alterations to your recipe to add some biscuit-like, bread-like, or cracker-like flavors to your Russian imperial stout. 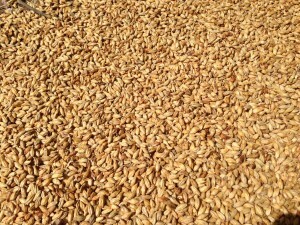 Swapping some of the pale ale malt for wheat malt will add the distinctive – some say bread-like — notes of wheat malt. Likewise, if you decrease the amount of crystal malt slightly and add some biscuit malt or Victory malt, you can get some biscuit-like or cracker-like flavors in the beer. In a 5.0-gallon (19-L) batch, I would stay below 8.0 oz. (230 g) of biscuit malt or Victory mall, unless you really like that particular flavor. The biscuit/cracker works best with moderately aggressive dark grain blends and English interpretations of the style (using English yeast strains and hops). There are, of course, many other options. For example, there’s no reason you couldn’t use Pilsner malt as the base malt. Amber malts or brown malts could be employed. Or, pretty much any combination of malts that complement the dark grain blend well. Don’t let the above options limit your creativity. They are just common combinations you see in homebrew and commercial recipes. They will work well, but there’s no reason that other combinations can’t work just as well. 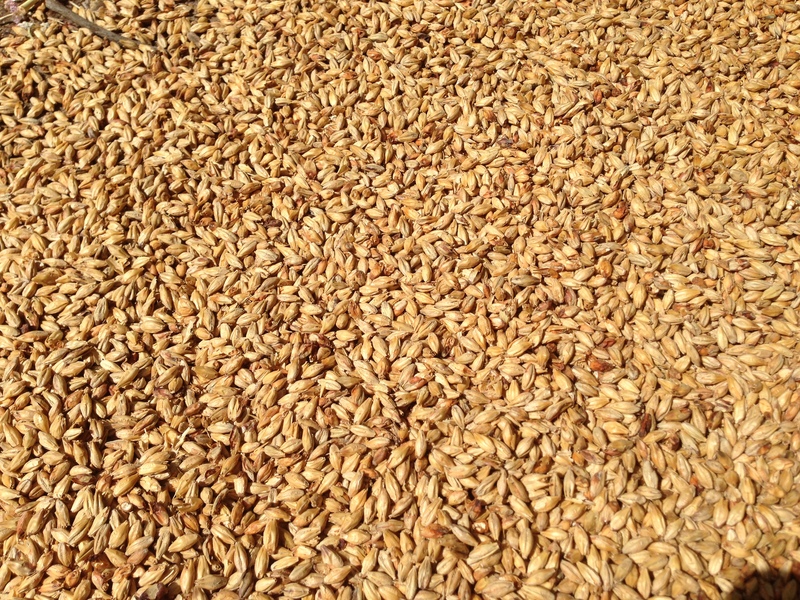 The amount of English pale ale malt all depends on your target original gravity (OG) and extract efficiency. In the next article in this series, I will discuss sweet wort production. I’ve found that Special B can work well in an RIS if used judiciously. Yes, indeed. Special B is a dark crystal malt and works great in a blend of lower-colored crystal malts (or maybe even by itself).